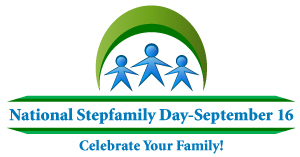 National Stepfamily Day is celebrated annually on September 16th and was founded by Christy Borgeld in 1997. Stepfamilies are all around us. One in three Americans live in a stepfamily, and more than 50% of Americans will live in a stepfamily at some point in their lives. Thirty percent of children are growing up in stepfamilies. Some call these families, "blended" families. According to Bray & Kelly in a 1998 study, it usually takes a minimum of four years or more for a stepparent to build a relationship with a stepchild. It's been said that "parenting differences" is the #1 reason cited by remarried couples (encore marriages) who divorce for the failure of the marriage. Coming to agreements on parenting is crucial to a successful stepfamily. I have two stepchildren and have a wonderful relationship with them, and it took time and lots of patience. I believe that there is a great need for information for blended families, so I have assembled several links to support you in finding successful methods in coping with the challenges of stepfamilies. www.NationalStepFamilyDay.com - Info from Christy Borgeld, Founder, Stepfamily Day. An excellent site that celebrates blended families or stepfamilies. www.WinningStepFamilies.com - This site offers immediate help to get you through rough spots, and the long term support you need to successfully blend your family. Stepparenting Resources - Dozens of links of interest to stepparents. National Stepfamily Resource Center - The National Stepfamily Resource Center's primary objective is to serve as a clearinghouse of information, resources, and support for stepfamily members and the professionals who work with them. We are also ready to serve media representatives with user-friendly and research-based information on stepfamily living. The Stepfamily Foundation - Directed by stepfamily pioneer and author, Jeanette Lofas, C.S.W., the Foundation provides stepfamily-support materials by mail, and professional counseling by phone. Stepfathers - A friendly, interesting, site for the most common stepparents: stepdads! Hosted by Aussie stepfather John Jacobson. Stepfamily Zone - Providing information and support from The Stepfamily Association of South Australia, Inc. A great resource for articles and books. InStep Ministries - Equipping Singles and Stepfamilies for Life. Blended Family Ceremony - Most often we think of marriage as the joining of two people to be wife and husband. In reality, marriage is often much more than that. It is also the coming together and merging of family and friends. When the bride and/or groom have children, it is appropriate for the children to be included in the wedding ceremony. With children present, the wedding ceremony also becomes the proclamation of a new family or a "family wedding." Blended Families An Anthology - Valerie L. Coleman - With divorce, single-parent households and family crises on the rise, many people are experiencing the tumultuous dynamics of blended or stepfamilies. Learn biblical principles and practical tools to successfully blend your family. 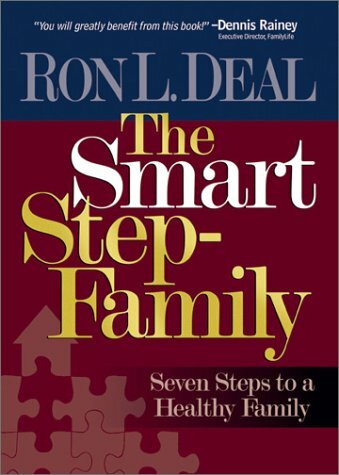 The Smart Stepfamily - Ron L. Deal - Perfect for stepfamily adults and single-parents whose children live in a stepfamily part-time. Those considering remarriage can prepare for stepfamily living. Ministry Leaders -- discussion questions at the end of each chapter make it the premier ministry tool for stepfamily groups, Bible classes, and pre-remarital counseling. The Stepmom's Guide to Simplifying Your Life - Karon Phillips Goodman - A reader friendly guide for stepmothers on how to better achieve balance and a stable family life through simplicity. A book written from the heart. It offers a wealth of dependable advice, illustrative anecdotes, and accessibly practical guidelines for stepmothers everywhere. Larry's Review: To say stepparenting is a challenge is an understatement. I know. I made lots of mistakes that reading this book would have corrected. It's the most complete compendium of thoughts and ideas on this subject that I know. It's good for stepdads too! Highly recommended. One Family, Two Family, New Family - Lisa Cohn & William Merkel - A must-read for stepparents, dating single parents and befuddled relatives of stepparents. This book tackles numerous stepfamily challenges during their first years together. It is filled with practical advice about stepparenting plus honest tales from Cohn, Merkel and three other families about the joys, triumphs, heartbreaks and challenges of stepfamily life. 29 Ways To Make Your Stepfamily Work - Kelly Kirkendoll Shafer - Regardless of your situation, the challenges of stepfamily life are similar and this book will help you find a clear path through uncharted territory. This compact, powerful book tackles tough issues in a practical, personal and optimistic light. From "Preparing the Children" (Way #3) to "The Ex-Factor" (Way #28), the author gives you ideas and creative tips (based on real-life victories and lessons learned) to make your stepfamily life a success. Step Parenting and the Blended Family: Recognizing the Problems and Overcoming the Obstacle - Scott Wooding - Despite the fact that more than 40 percent of Canadian marriages end in divorce each year, over 70 percent of divorced people eventually remarry and fail again-over 50 percent of the time. Among the many reasons for the failure of these second marriages between supposedly older and wiser participants, the problems stemming from step-parenting and the blending of the families ranks high, explains psychologist and author Scott Wooding in this comprehensive and groundbreaking look at the challenges faced by couples starting over again. For more books on "stepparenting," "blended families" and other related topics, click here.